This booklet gives you the explanation of the Thirteen Movement Tai Chi Chi Kung Form and step-by-step of the Tai Chi Chi Kung I Practices with Opening Tai Chi, Core Movements (Left-Hand Form), Core Movements (Right Hand Form) and concluding Movements. There are 39 pages with over 45 color illustrations and images. This booklet gives you step-by-step instructions for learning Tai Chi Chi Kung I. This is a simple yet powerful early form of Yang Style Tai Chi. 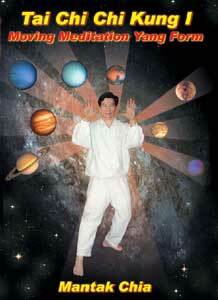 It reveals the Taoist principles and deep, internal work necessary for the effective practice of any form of Tai Chi. The Tai Chi Chi Kung I booklet is designed for tai Chi practitioners of all levels. Stripping away the unnecessary mystery surrounding Tai Chi, Taoist Master Mantak Chia demonstrates, with the help of several colored and detailed illustrations, the relationship of the inner structure of Tai Chi to the absorption, transformation and circulation of the three Forces or energies the Universal Force, the Cosmic Force, and the Earth Force that enliven us. The author shows us how to find a new and vital relationship to these forces, not only while practicing Tai Chi, but also in the midst of our everyday lives. The Tai Chi Chi Kung I booklet is an indispensable resource for anyone who now practices or wants to learn a form of Tai Chi. Clearly written and illustrated, with a natural progression from simpler to more difficult material, the booklet provides an in-depth look at the principles and practices necessary to receive the full spectrum of physical, psychological and spiritual benefits that Tai Chi can bring.